If you’ve been through Wreckers 101 recently, you’ve likely met Baberaham Lincoln aka Babe, as she is the 101 liaison… meaning, she gives you homework (boo), and advocates for better changes (yea! ), and answers ALL the QUESTIONS (THANK YOU). You will also see her slinging merch at bouts, helping out with raffle, and occasionally just sitting and enjoying the game. She is the epitome of what it means to love this community, league, and sport. Always willing to help where needed, lifting others up, with her big, bold smile. 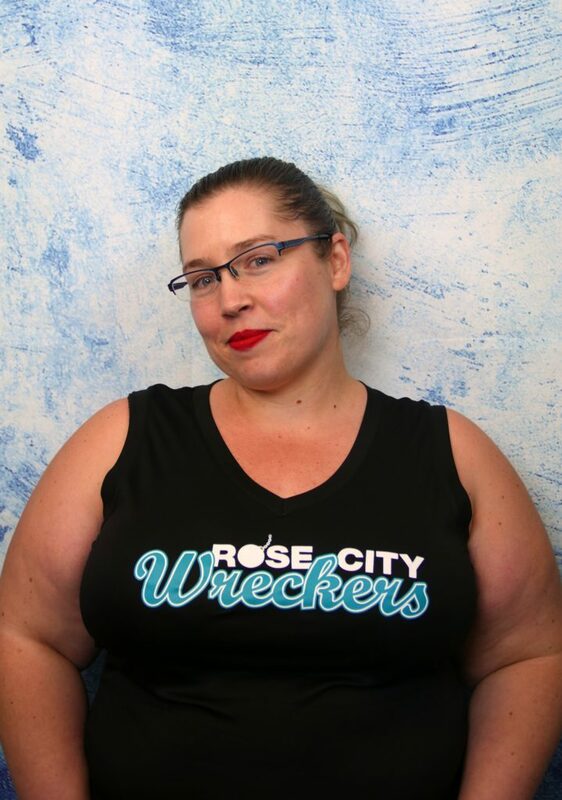 Thank you Babe for all you do, Rose City Rollers is grateful to have you as a part of our league. Working with Derby 101. From meeting new skaters at orientation to seeing their excitement at 8am every Sunday morning. It is so rewarding to see the progress from new skater to being strong and stable on their skates. Being there for their first crossover or first plow. The excitement and determination as they learn how to be stronger, on and off their skates, and the community they create with their fellow 101’ders over sweaty brunch. What does being a RCR volunteer meant to you? This league is so important to me, with everything it has given me, I want little more than to give back to the league. Rose City, and particularly the 101 program, didn’t just teach me how to skate but it helped me find my voice and my community. I am grateful for the opportunity to empower and support my fellow league mates on their derby journey. I came to the league to skate, but found a place in which I can help may others on their journey both on the track and in life. I’m honored to be a part of this community. What have you gained from your experience volunteering with RCR?  Being a part of Rose City, as a whole, has given me a new community of amazing, strong, and fierce skaters. I’ve been encourage to step outside of my comfort zone for experiences I wouldn’t change. The leadership, organizational, and teamwork skills I am developing from these roles are improving my professional life as well. Helping others is as rewarding as accomplishing my own goals, making it an absolute pleasure to be able to do both at the same time within our community. Beyond this all, I am pleased that my professional life skills relate to opportunities within the league. Embracing my team leadership skills with fellow volunteers has helped me better relate to co-workers. Participating in, and helping lead, group activities has been great for public speaking confidence on both sides. The most important aspect of roller derby on my life is general self-confidence, building the bravery needed to fight for the right thing. We all come from different walks of life, but we are all here together, as a team, to grow and have some fun. What is your favorite core value of RCR? Play strong, train smart, and have fun. Be welcoming and embrace differences. Respect the game and each other. Bring your best self and trust others to do the same. With Core Values as important and inspiring as ours, it’s hard to pick just one. Our League’s focus on creating a healthy environment for all, while empowering skaters to embrace their self-worth and offer respect to those around them, what’s not to love? The true core value is that we embrace our own value. Not to become selfish or conceited, but to understand that we are a powerful group of individuals that can change the world.